Dark chocolate balls filled with milk chocolate ganache and Jack Daniel's whiskey. 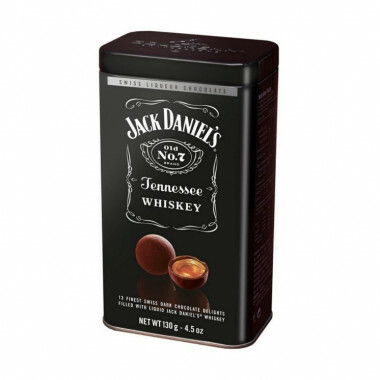 The perfect balance between Jack Daniel's Tennessee Whiskey and the pure sweet taste of high-end Swiss chocolate. 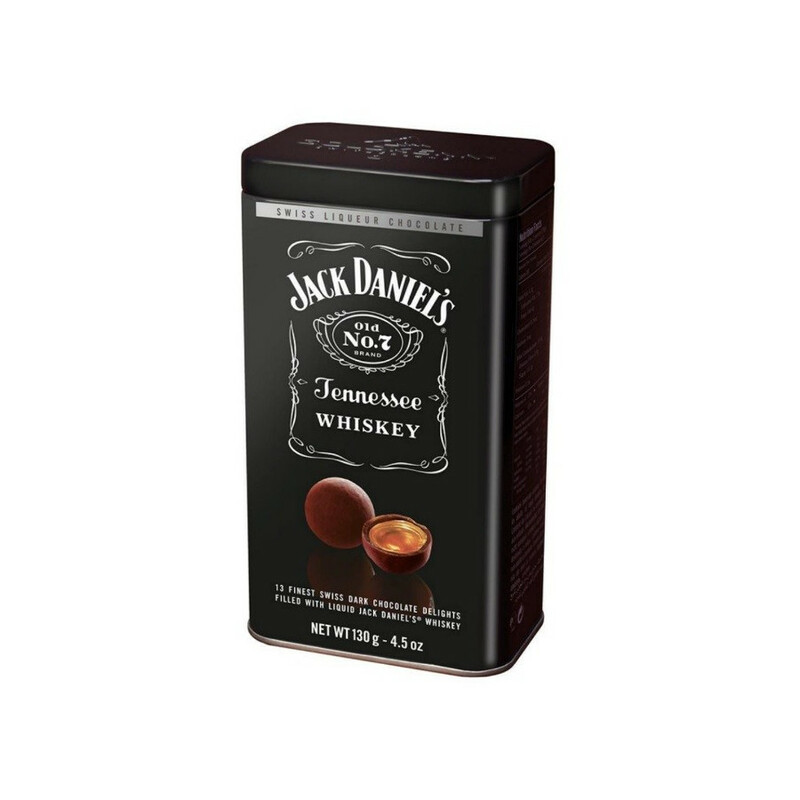 13 dark chocolate balls topped with milk chocolate ganache and Jack Daniel's whiskey are presented in a beautiful metal box.. Ingredients: sugar, cocoa mass, cocoa butter, Jack Daniel's Tennessee whiskey 8,5%, inverted sugar syrup, whole MILK powder, BUTTER, humectant (sorbitol), glucose syrup, BUTTER fat, SOYA FLOUR, emulsifier (SOYA lecithin), concentred lemon juice, salt, natural vanilla flavour. Contains milk and soya. May contains hazelnuts, almonds, peanuts. Cocoa : 50% min in chocolate.